*Since January 1, 2019 in the U.S. Trusted by more than 100 of the Fortune 500, 1,400 firms, and 2 million employees. 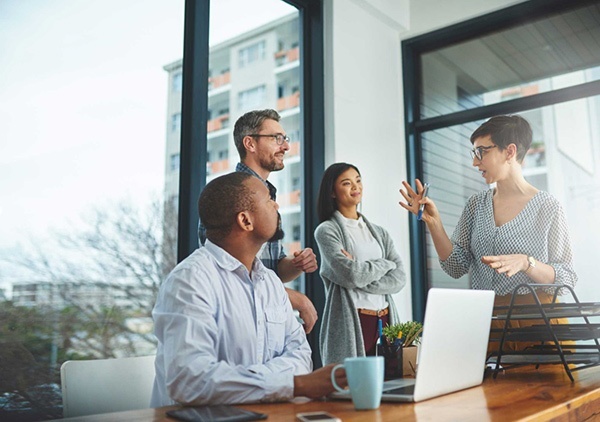 Attract, retain, and protect talent; safeguard your bottom line. Credit monitoring. Social media review. Dark web surveillance. 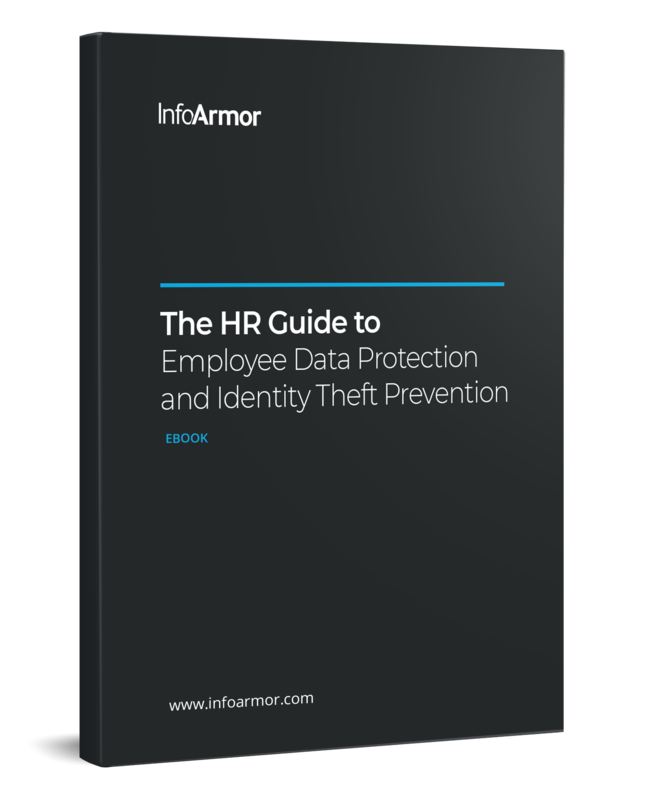 PrivacyArmor is the employee benefit that maintains your staff’s — and your company’s — privacy and security. Our proactive alerts and notifications help stop identity theft at its first sign. 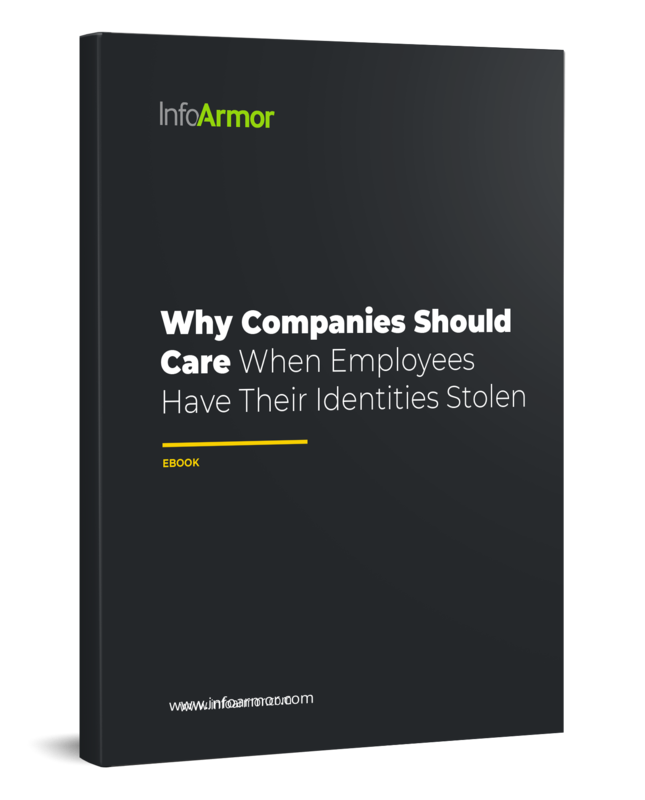 And with a $1 million identity theft insurance policy, your employees can rest assured that their identities are fully protected. Sophisticated advanced threat intelligence + Investigative services = Your strongest corporate security. Stop the damage of a data breach before it’s all over the news. 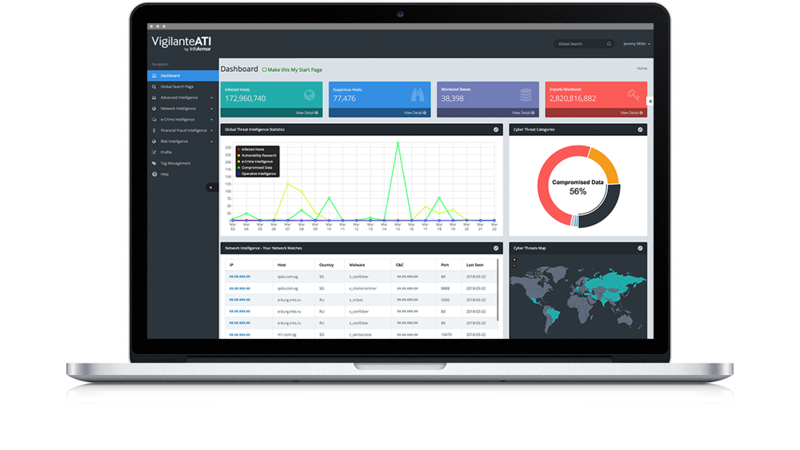 VigilanteATI™ delivers actionable, targeted threat intelligence with context and analysis to alert you to potential attacks before they become a risk to your organization. We scour the dark web for chatter from bad actors, analyze threat data, and offer insights into how you can keep your business assets safe from past, present, and future cyber threats. VigilanteATI is way more than a dark web news feed; it gives you the who, what, where, when, why, and how so you can create the best defense plan for your business. "It was just a stressful situation, but it would have been a lot more stressful if I had not had InfoArmor holding my hand, walking me through it." 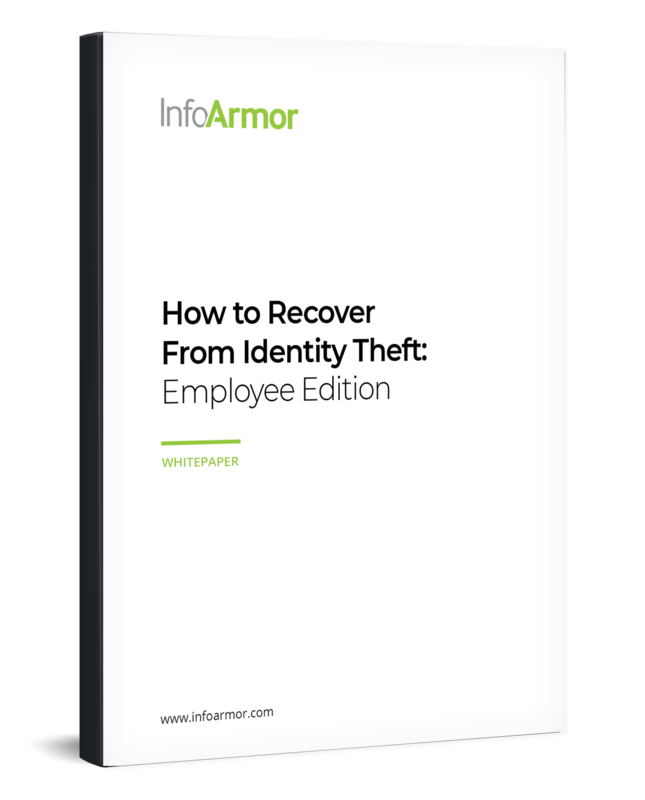 "I never would have known [about the fraud] if not for InfoArmor. I was really impressed with the entire process. The fact that it’s so seamless is great." InfoArmor helps people protect their lives the way an alarm might protect their house — if your alarm could also find the culprits. 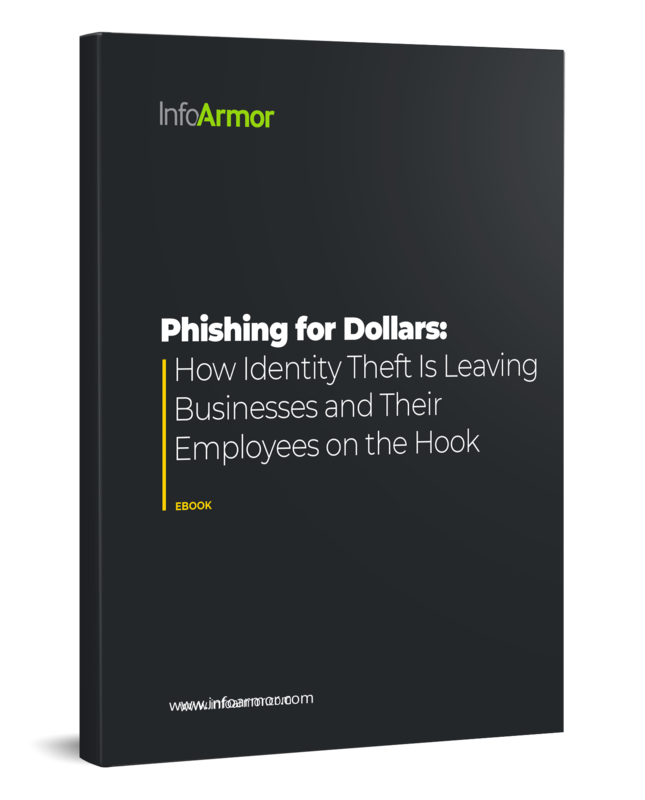 We safeguard the identities of employees and their families with advanced identity monitoring, and surveil the dark web for breached data to ensure businesses remain secure. Our comprehensive approach means that we can inform our members of data breaches eight to 10 months before they become public knowledge. InfoArmor currently monitors and protects more than 2 million lives, and our ultimate goal is to make sure that humans the world over can benefit from peace of mind. 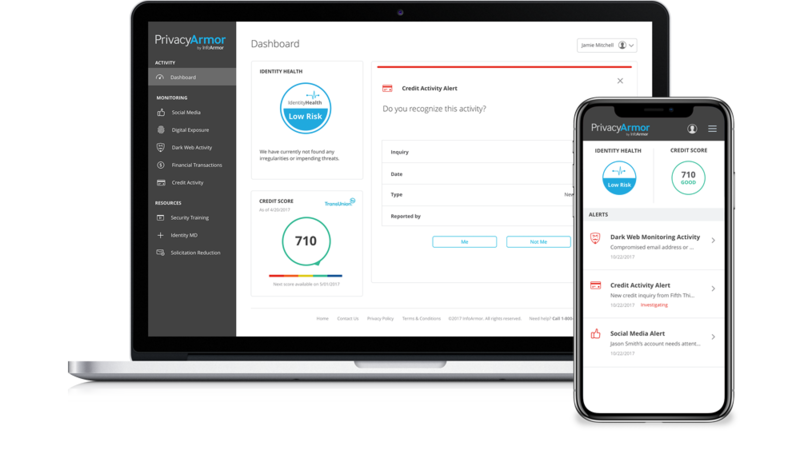 Download the PrivacyArmor App Today!